Today in this post I will tell you about Google SmartLabels. Most of you must get lots of emails in your inbox every day, so you have labels and created many filters to manage all your emails. So to make your work easier there is Labs feature in Gmail called SmartLabels. 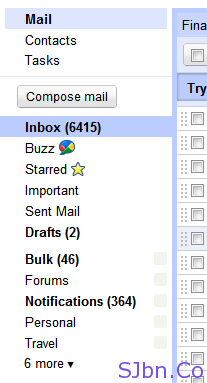 After you enable SmartLabels in Gmail Labs, it will create three new labels which are named as bulk (for newsletters and promotional email), forums (for mailing lists), notifications (for confirmation messages, alerts and account statements) and Personal (rest of your emails comes here). 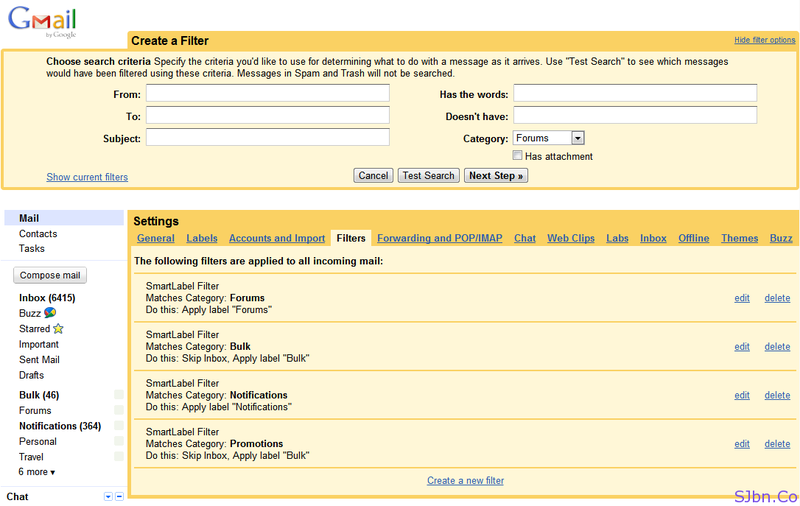 And filters will be get created for the same so that respective emails can be get filtered. While you will create new filters or edit any filters you will see new drop-down option is also added called Category from which you can select Any, Bulk, Forums, Notifications, Personal and Promotion. In Any all your massages comes in, Bulk, Forums, Notification and Personal have similar functions and in Promotion it is labeled as Bulk. After you enabled SmartLabels most of the emails may not show up in your inbox because they will get filtered to those labels. You can edit them anytime from Settings –> Filters. I am not sure but if you have created one filter also then SmartLabels must have got automatically enabled in your account. If it get labeled incorrectly then from labels drop-down remove the labels that are incorrectly added and apply the correct label to help Google improve.